My hàng đầu, đầu trang 5 characters ; your favorite? người hâm mộ lựa chọn: 1) Coulson. Who is your yêu thích SHIELD actor? Who do bạn like better? What did bạn think of 5x21 - The Force of Gravity? Why is the picture so dark?? Who forgot the first word in " lights, camera, action. I remember a joke "He showed her his Virginia" spoken bởi Coulson. Which episode? I can't find it. who do bạn think the guy with no eyes is? Below is a danh sách of my hàng đầu, đầu trang yêu thích episodes from Season Four of Marvel's "AGENTS OF S.H.I.E.L.D.". I have been aware that a good number of Marvel những người hâm mộ have been in a tizzy over the Grant Ward character from "AGENTS OF S.H.I.E.L.D.". But I had no idea that this "celebration of toxic masculinity" would lead to some misleading các lượt xem hoặc "
I might as well put my cards on the table. I did not like Season Two of "AGENTS OF S.H.I.E.L.D.". In fact, I almost despised it. But what I despised even further is this belief among ti vi viewers and critics that Season Two was an improvement over the series’ first season. This told me that today’s society has no real concept of what constitutes good hoặc bad storytelling. Ever since the một giây season of Marvel's "AGENTS OF S.H.I.E.L.D. ", many ti vi viewers and critics have waxed lyrical over their belief over the series' improvement from Season One. And yet . . . the ratings for the hiển thị seemed to reflect differently from this view. Regardless of the opinions of others hoặc the ratings, I have my own các lượt xem about the show's Season Two. I just finished watching the latest “AGENTS OF S.H.I.E.L.D.” episode, [i](2.10) “What They Become”[/i[ . . . and I am filled with rage. The series just killed off Antoine Triplett, the character portrayed bởi B.J. Britt. The other black character on the show, Alphonse MacKenzie, is currently some kind of Inhuman zombie. The ironic thing is that both B.J. Britt and Henry Simmons were seriously underused this season, and Mutant Enemy fucked them over even thêm in the past two episodes. Ohmigod! Did "AGENTS OF S.H.I.E.L.D." lose its sense of humor? I realize that the hiển thị is supposed to take a darker turn, but they seemed to be overdoing it. "AGENTS OF S.H.I.E.L.D. : THIS IS LOVE?" Ever since the middle of Season One of Marvel's "AGENTS OF S.H.I.E.L.D. ", there has been a fandom dedicated to the relationship between two of the series' characters: former hackivist/turned S.H.I.E.L.D. agent Skye (no surname mentioned) and Agent Grant Ward. And despite the amount of attention dedicated to this potential romance on the Internet and in the media, I have found myself wondering if I should support it hoặc not. 1. (1.17) "Turn, Turn, Turn" - All hell breaks loose when the events of "CAPTAIN AMERICA: THE WINTER SOLDIER" leads to the downfall of S.H.I.E.L.D. and the exposure of HYDRA moles within their ranks. 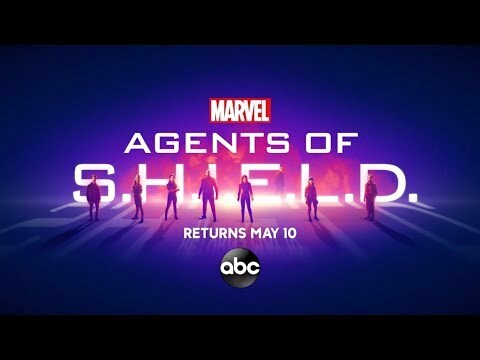 While promoting the upcoming MCU movie "Captain Marvel" (out this weekend), Clark Gregg mentioned that he is currently shooting season 7th and final season of Agents of SHIELD. Coulson & his team to return for another season! Good news, Agents Coulson and his squad will return for a fifth season! When does Grant Ward's S.H.I.E.L.D. ID badge expire?